With the weather getting increasingly unpleasant as of late, between the strong winds and torrential rain downpours, one thing you can’t help but worry about is your clothing! How will your favourite and very delicate designer clothing survive this onslaught of uninhabitable weather? One of the most vulnerable parts of our outfits are undoubtedly the footwear, having close contact with the wet and muddy floor. 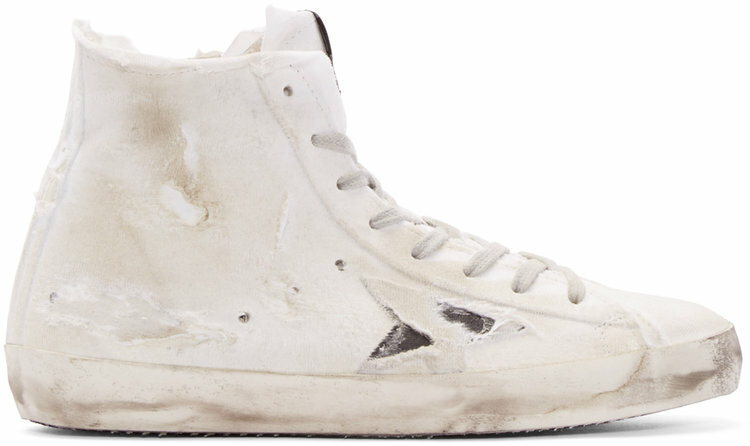 In these cases, sometimes it’s best to give up the fight and just throw on an old pair of beat up sneakers, as it doesn’t matter too much what happens to them. But what if you just don’t have a pair of previously soiled casual footwear to walk the rainy streets with? 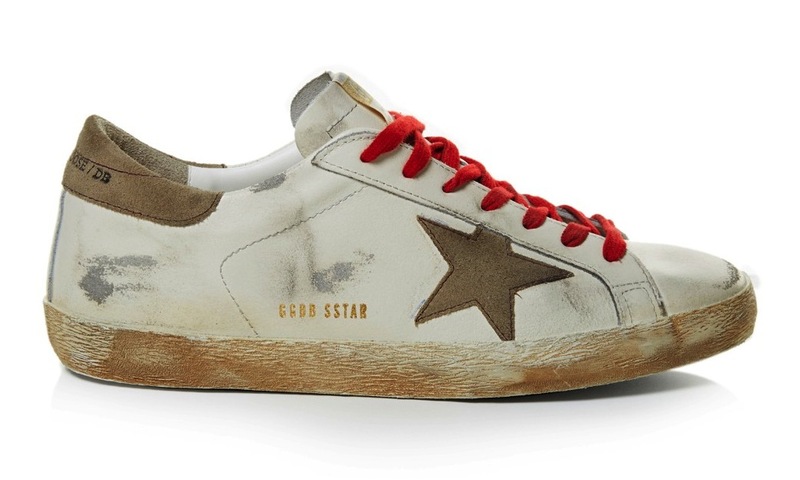 This is where the Golden Goose Deluxe Brand comes into play. 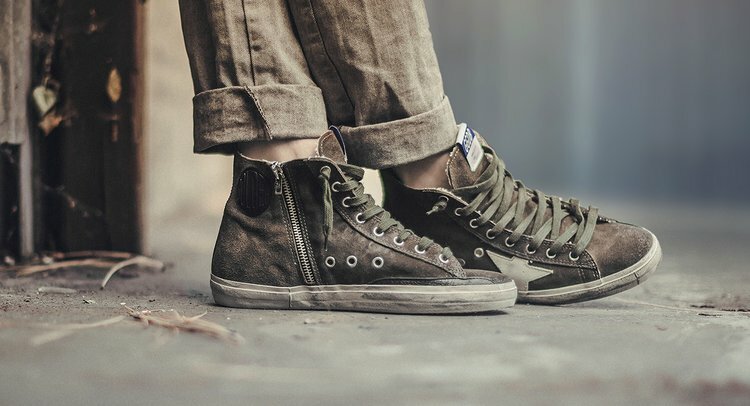 With the majority of their sneakers in various states of damage straight out of the box, dirt marks, rips, distressing, or in most cases a combination of all three, as such these sneakers are perfect to wear when the weather is at its toughest. Any additional stains you gain will no doubt go unnoticed, on the contrary they will only add to the destroyed look. 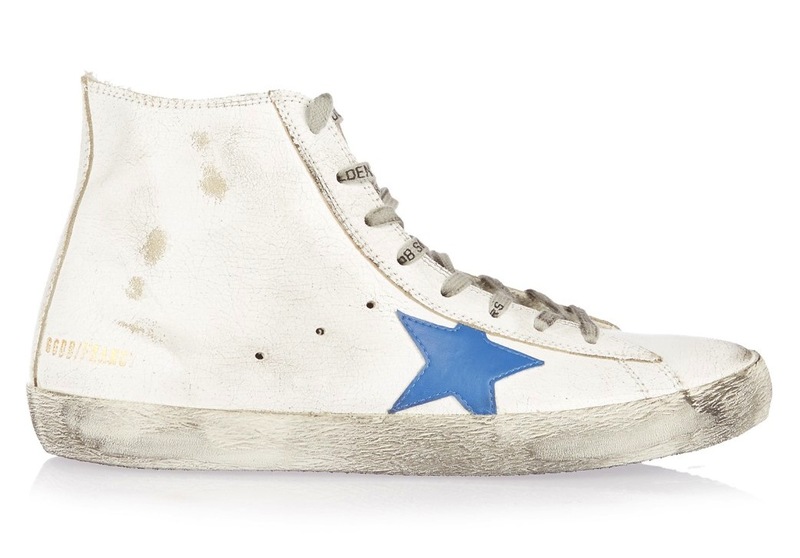 Quite a few of their sneaker designs have similarities to the classic canvas plimsoll, and with good reason. 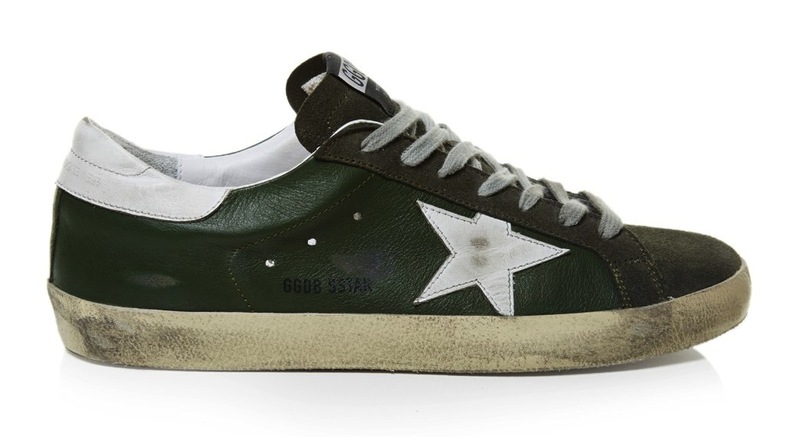 It is a timeless design, and Golden Goose have dragged it bang up to date, quite literally, judging by the additional stains on many of their pairs. 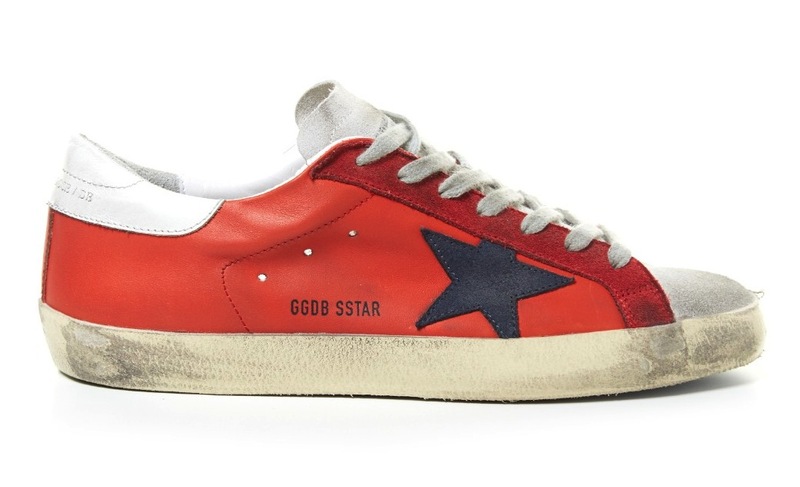 With the addition of various colour schemes to choose from and all of course carrying their brand logo, the star. 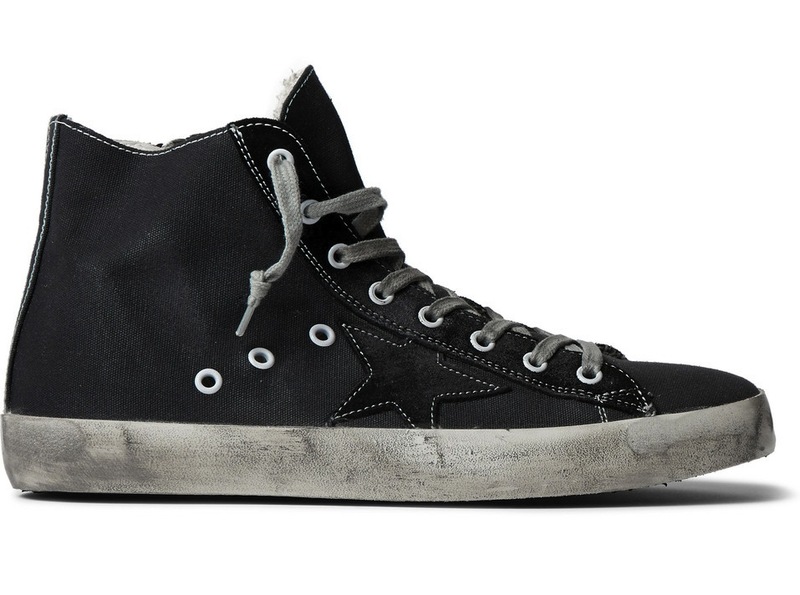 Accompanying the plimsolls are a selection of high tops and a more sporty variety of footwear featuring cool stripes and patterns, all of course have had heavy distressing work to give them that very used look. 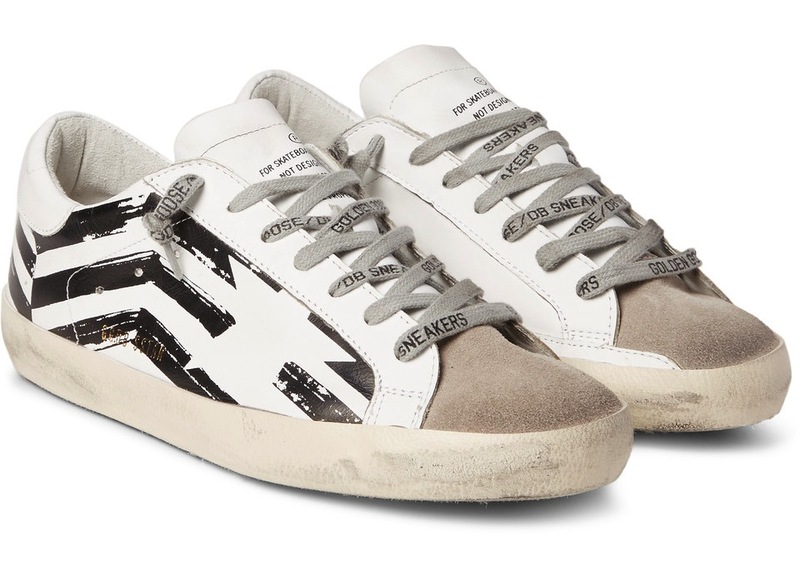 A multitude of materials are used, alongside the canvas pairs mentioned, there is of course leather and now they have added denim pairs to their lines, a match made in heaven when it comes to the distressed look. 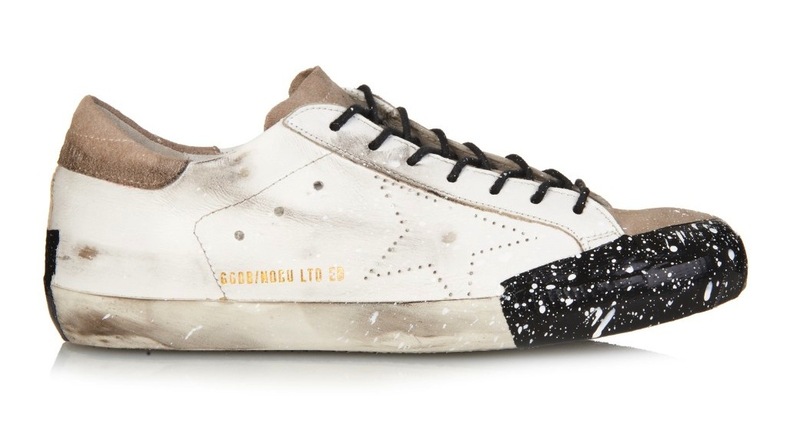 Check out our Golden Goose top 12 picks to adorn your feet with during this current wet and muddy season. 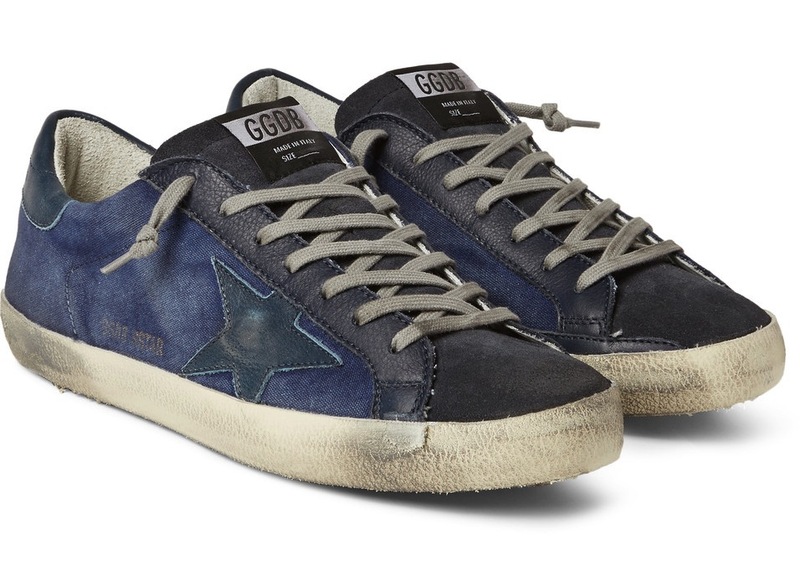 Let us here at Fashion Runway Blog know what you think of Golden Goose sneakers!